Liz Lemon’s nuptials, slated for Thursday’s show, mark a gleeful, finale-season celebration by a sitcom that defied TV conventions. 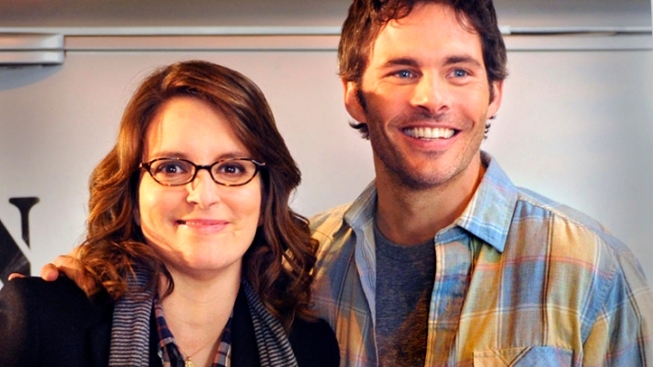 Liz Lemon (Tina Fey) is getting married to Criss Chross (James Marsden). Weddings, in life, represent new beginnings, but in sitcoms often signify the end – or the beginning of the end. “Friends” was never quite the same after Monica and Chandler wed. “Rhoda” started with the title character marrying Joe, but he didn't turn out to be good for her – or the show. "Happy Days" ended with the wedding of Joanie and Chachi, six seasons after Fonzie jumped the shark and unwittingly created pop culture shorthand for the moment that kicks off a show’s decline. In its six-plus seasons, “30 Rock” has floated plenty of ploys guaranteed to get the sharks circling – including oodles of stunt casting (Jerry Seinfeld, Oprah Winfrey, Steve Martin) and other gimmicks (not one, but two live episodes). But the show’s cast and writers have consistently converted shopworn devices into some of TV’s sharpest comedy. Now, with the series down to its last seven episodes, Tina Fey’s television alter ego Liz Lemon is set to wed Thursday as she strives for motherhood (another sign of an impending shark jump) – marking perhaps a final gleeful nose-thumb by a sitcom that defied tired TV conventions by embracing them with comic irreverence. It’s hard to imagine Liz, who only looked comfortable in a gown when she dressed as Princess Leia to avoid jury duty, throwing a traditional wedding. The primary running joke of “30 Rock” has been her fruitless quest to find the right man while she remains married to her job as head writer for “TGS,” the dysfunctional “Saturday Night Live”-like show-with-in-show. She’s gone through a ragamuffin parade of guys, raging from outright losers to near misses, with most falling into the stunt casting or stunt naming categories – or both. Dennis Duffy (Dean Winters) proved a crude slacker with views of womanhood even more old-fashioned than the beepers he hawked. Nice guy Floyd DeBarber’s (Jason Sudeikis) past drinking problems weren’t as troubling as his love of Cleveland. Dopey Dr. Drew Baird (Jon Hamm) couldn’t break out of the bubble that envelopes the overly handsome, hooks and all. Unctuous Englishman Wesley Snipes (Michael Sheen) nearly got Liz to settle for a pompous twit. While she was glad they had some time together, Liz was too much like neurotic pilot Carol Burnett (Matt Damon) for their relationship to takeoff. All were flawed in different ways, save for one: each tried to make Liz into something she wasn't or didn't want to be. Her betrothed, Criss Chross (James Marsden), is no Astronaut Mike Dexter, her imagined perfect man. But at least the goofball dreamer, who hawks gourmet organic hot dogs, doesn’t want to change Liz. As long as he keeps images of Tom Jones away from her, presumably everything will remain okay in the love department. Criss seems like a fine choice – we’re just grateful that “30 Rock” also defied expectations that Liz would somehow end up with her mentor/verbal sparring partner Jack Donaghy (Alec Baldwin). Unlike the combustible Sam and Diane of “Cheers” fame, Liz and Jack have forged more of a “Mary Tyler Moore Show” dynamic, with Liz playing a combination Rhoda and Mary to Jack’s Lou Grant. Their bond, not easily explained or broken, provides a tenuous emotional center to a show that relies on laugh-a-second dialogue, cartoonish characters and goofy plots that by all rights shouldn’t have gotten “30 Rock” past Season 2. 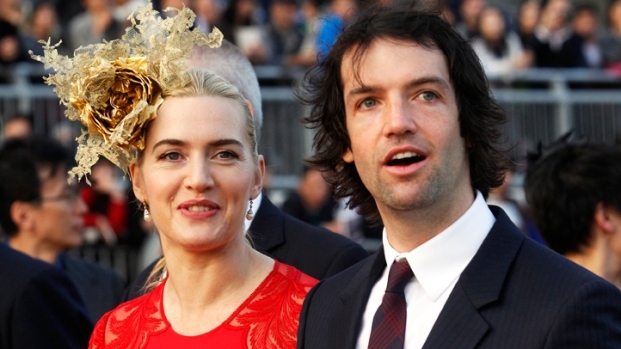 Somehow, Liz and Jack made us care – kept us laughing. Unlike Monica and Chandler, Rhoda and Joe, Joannie and Chachi, among other heavily hyped sitcom knot-tyings, the scheduled Liz-Criss nuptials are shaping up as a relatively low-key affair. NBC only began publicizing the episode a couple weeks ago, issuing an invitation that instructs guests to “Bring your own snacks.” Presumably Sabor de Soledad chips – the cheesy treat that caused Liz to experience false positives on pregnancy tests – won’t be on the menu. Let the sharks eat the chips. Liz is our TV pal, but she’s no chum. She’s having it all, in her own wacky way, in her own time. No matter how domestic life turns out for her, “30 Rock” will be off the air long before the honeymoon is over – or before the sharks notice Liz Lemon is TV history.